If you think of badasses in the professional culinary world, you may think of someone like Gordon Ramsey, or the self proclaimed bad boy Guy Fieri. You shouldn’t though, because they’re complete babies. Did you know that Julia Child worked for the OSS in World War Two? Pretty badass huh? 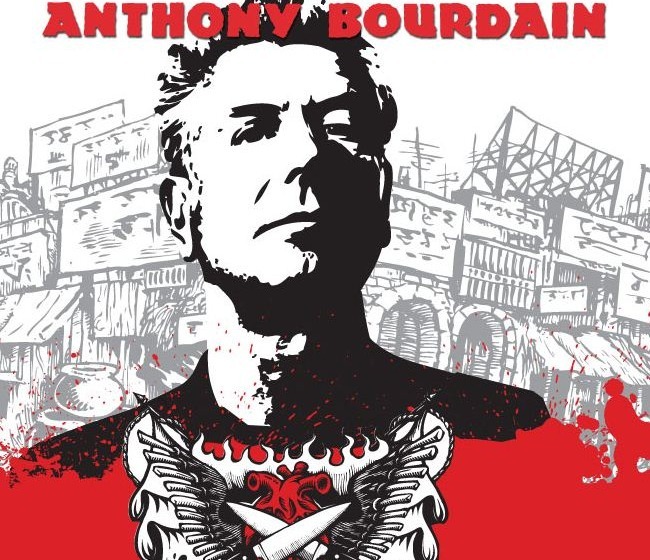 Did you also know that chef Anthony Bourdain was pretty much the Hunter S. Thompson of the cooking world when it came to the volume of drugs consumed? Not quite as badass as the OSS, but I couldn’t find a video of Julia Child going to Mexico and speaking with the son of the man who invented the nacho, so we’re going to focus on Bourdain’s show No Reservations. Bourdain brings up the classic question, “Are Nachos Mexican?”, and answers it with a “No.” So my question to you goes “Is something made by a Mexican, in Mexico, but for Americans, Mexican or American?” It’s a dilemma as old as “Which came first, the chicken or the egg?”, and perhaps just as unsolvable. The general consensus among chefs is that it’s American, and until I come up with some more talking points and gotchya questions to prove their Mexicanity, I suppose I’ll have to agree with it. The main takeaway from the video is that you get to see the son of Ignacio Anaya, the father of the nacho, which is the equivalent of meeting Jesus in the nacho world. I’m sure his transubstantiated body would be much spicier though.